The app market is big business. In fact, in 2016, over $101 billion was spent globally on mobile internet ads, a five-fold increase over the 2012 numbers. And while that kind of growth is unsustainable over the long term, spending will continue to rise as traditional advertising models are replaced by in-app ads. If you have an app, it’s only natural you’d want a piece of that ever-growing pie. But where do you even start? And what exactly is in-app advertising, anyway? Chances are, you already know some of this simply by being an app user. Any time you download an app, free or paid, you will come across in-app advertising. It is far more prolific in the free apps, as they entice you in with a complementary product, and then make revenue from ads served to you through the ad. In-app ads are usually driven by one of the common forms of online revenue (CPM, CPC), and cost nothing to you. Simply choose the ads that fit best with your particular app, customize them as you see fit, and then sit back and collect the revenue. Depending on how popular your app is, you can make many thousands of dollars every month using in-app ads. Now you know a little of the basics of in-app advertising and what kind of advertising you want to serve, you need the help of an advertising network. There are hundreds available, some offering better rates of return than others. Here are eight worth checking out. The original creators of the display-to-search ad format, Media.net has perhaps the most impressive portfolio of ad technologies anywhere on the internet. 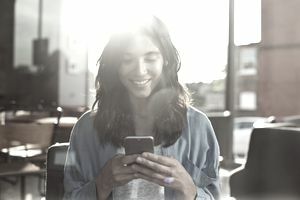 With access to search, mobile, native, local, display, and video ads, you can select a campaign that fits seamlessly with your app experience. Media.net offers competitive CPMs, mobile “in-content” units, and fully customizable units to create matching in-app content. A major player in the in-app industry, InMobi recently acquired AerServ to create the world’s largest programmatic video platform for mobile publishers. InMobi excels at delivering an excellent ROI for its customers and was recognized by Fast Company as one of The Most Innovative Companies in 2016. Currently, InMobi is serving content to over 1.5 billion devices and continues to grow. Excelling in cross-promotion and offering the most mobile-only ad platforms for gaming apps, ChartBoost is an excellent choice for any gaming app. Ads are tailored to your players and are always relevant to the gamer seeing them. You are given complete control and transparency with your campaigns and can start earning in as little as five minutes after signing up. Whenever you mention Google in conjunction with a business, you know you’re in trusted hands. Acquired by Google in 2010, AdMob is one of the most trusted and popular ad networks available to app developers. Providing easy scalability, and native video ads that blend perfectly with your app’s content, AdMob is one of the safest bets you can go with for in-app content. App monetization is the driving force behind Fyber, which started life back in 2009 under the name SponsorPlay. One of its greatest assets is the Auto Pilot feature, which is ideal for app developers with little to no knowledge of in-app campaigns. This gives the developer the freedom to concentrate on app content, while Fyber automatically controls the priority of the ad networks. A snappy name for one of the new kids on the block, StartApp is a mobile-only ad network that features interstitial ads, VR content, 3D walls, slider ads, and splashes. It considers itself a cutting-edge platform and offers a payout system that gives the developer $50 for every 1,000 app downloads. Formerly known as OperaMediaworks, AdColony is one of the largest mobile ad networks in the world. Reaching over 1.4 billion users globally, it has been the marketing partner of choice for many Fortune 500 brands, and over 85 percent of the world’s top grossing mobile publishers. Another fairly new player, Vungle’s creative optimization technology, targeting, and HD video ad delivery gives it the power to reach, acquire, and maintain a large number of high-quality users around the globe.